Established around two decades ago in 1995, Nepal College of Travel and Tourism Management (NCTTM) looks to providing the students with the opportunity to gain skills, qualification, and experience allowing them to make advancement in the career development in tourism sector. Located at Ratopul, Gaushala, Kathmandu, the college claims to be the first travel and tourism management college. Under an affiliation with Tribhuvan University (TU), the college aims to be the leading institution in travel and tourism education sector of Nepal in terms of providing a quality travel and tourism education that meets the requirements for a capable, qualified, learned, and all round professional within tourism industry. It is well evident that tourism is one of the greatest industries in Nepal, and one of the important sources of foreign revenue. Moreover, the riches in natural beauty and cultural diversity offer a great prospect for Nepal to become one of the thriving tourist destinations. Hence, Nepal College of Travel and Tourism Management anticipates with eagerness to help students build a career in tourism industry where the career outlook looks brighter than ever. Nepal College of Travel and Tourism Management offers both undergraduate and post graduate degree in tourism management. Under bachelor level, Bachelor of Hotel Management and Bachelor of Travel and Tourism Management are taught where as Master of Travel and Tourism Management is taught under masters program. Nepal College of Travel and Tourism Management instills knowledge in students regarding the need to pay respect and value each individual with humility. At the same time, the college focuses on educating students with some of the basic life skills such as team building, having an optimistic outlook on life, and developing listening skills. In short, the primary aim of NCTTM is to look for the comprehensive growth of a student into an all round professional guided by the accepted principles of core human values. Nepal College of Travel and Tourism Management aims to help students adapt for professional management employees in travel and tour industry. Besides producing proficient graduates, it also aims towards creating awareness among people regarding the importance of tourism sector for the overall prosperity of the country, and thus becoming the center of merit for tourism research. Planning to build a career in the travel and tourism industry? Study the course of Bachelor of Travel and Tourism Management at Nepal College of Travel and Tourism Management and begin your journey towards a successful future. Read more about the course of BTTM and other necessary details. A Master's degree in Travel and Tourism Management enables you to learn the major principles of managing travel and tourism organization. Study this course at Nepal College of Travel and Tourism Management and begin a beautiful journey towards a successful career. Here, we have prepared a basic overview of the course and other required details. Since its inception, Nepal College of Travel and Tourism Management has come up with 17 batches of BTTM graduates into the tourism market. The college is focused towards providing career oriented education, and the job placement is as high as 98%. It has also been the recipient of several awards like Mahendra Bidhaya Bhushan, and Aishwrya Bidhaya Padak. NCTTM provides the globally recognized course at the most reasonable cost possible through extremely dedicated and experienced faculties who have far-reaching networks of national travel bodies in tourism industry. Under an affiliation with Tribhuvan University (TU), Nepal College of Travel and Tourism Management has been running a bachelors degree program in Travel and Tourism since 1998 which is governed by the faculty of management. 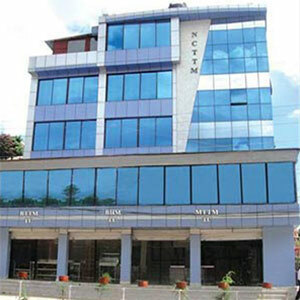 NCTTM is one of the earliest institutions in the sector of tourism management studies in Nepal. The academic programs conducted by Nepal College of Travel and Tourism Management include Bachelors of Travel and Tourism Management (BTTM), Bachelors of Hotel Management (BHM), and Masters of travel and Tourism Management (MTTM). A Bachelors of Travel and Tourism Management (BTTM) is a four years course intended to generate professionals for the ever growing travel and tourism sector of Nepal. Upon the completion of a course, the students shall be able to cope with international tourist service operations such as planning tours and treks, domestic/international air ticketing, tourism development planning, actualize sustainable tourism management policies, or pursue further education in travel and tourism management. A Bachelors of Hotel Management (BHM) is also a four years full time program appropriate for students who are fascinated towards entrepreneurship, and have an international drive or service minded approach. 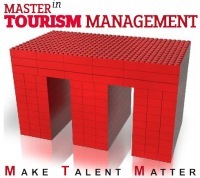 A Masters of travel and Tourism Management (MTTM) is a two years full time course designed for imparting knowledge about tourism management, operation, and products in depth for professionals who have an experience of working in the tourism industry. The course is comprehensive and well adaptive with the changing global scenario and market trends in marketing, operations, and other occupational skills.